A simple act of kindness can change your world — and become contagious. A simple act of kindness can change your world — and become contagious. A few nights ago, right before going to bed, I received that message from a friend and former colleague. I have to admit it was completely unexpected but utterly awesome to hear. There’s nothing quite like being at the receiving end of a random act of kindness. And truth be told, being at the giving end isn’t too shabby either. Every day, in the #1 slot on my to-do list, I write “kindness.” Before I do anything else, I take at least one action that serves no purpose other than to be kind to another person. Science backs this up. When we help others, it’s good for our health and vitality, improving emotional resilience, boosting the immune system, and reducing susceptibility to depression and anxiety. Even better? Your kind act could have a long-term, afterglow effect on your recipient. If you really want to brighten someone’s day, do the unexpected. The effect could last a lifetime. I completely agree and can vouch for the long lasting, feel-good effects of unexpected kindness. Even if it comes in a roundabout way. Years ago, way before we had kids, my husband and I were shopping for a new car. We had been to several dealerships already, but that day we had narrowed the search to two brands: BMW and Mercedes. In our minds, they were nearly identical in terms of cost and performance. We really just wanted to test drive them and see which one was a better fit. As we approached the BMW lot, a peculiar thing happened: the salesman immediately saddled up…to my husband. He extended his hand, introduced himself and gave him (only) his full attention and sales pitch. I was completely ignored, despite my and my husband’s attempts to introduce me to the salesman and to include me in the discussions. As you might imagine, I was furious. As was my husband. During the test drive, I recall silently fuming and consciously making a promise that we would never buy a BMW. By contrast, and with no possible prior knowledge of our BMW experience, our salesman at Mercedes handled things very differently. As we walked on the lot, he smiled and introduced himself…to both of us. (I think he may have even shaken my hand first.) He engaged with us, making sure to check in with each of us throughout the process. He was kind, courteous, and an attentive listener. Over the years I’ve told this story many times, mostly to illustrate how easy it can be to win someone over with simple acts of kindness. The power of that unexpected kindness was its ability to transcend the transaction and create lasting brand loyalty. Not surprisingly, we’ve kept our promise never to buy a BMW. But guess who’s sold us three Mercedes vehicles and two others to our friends? After receiving my own unexpected kindness, and inspired by Kasanoff’s kindness first policy, yesterday I happily filled out an evaluation for my daughter’s fantastic softball coaches, giving them the highest marks possible and taking the time to add a personalizing recommendation for each of them. And I’ve already started to think about what kind things I can do for others in the days to come. 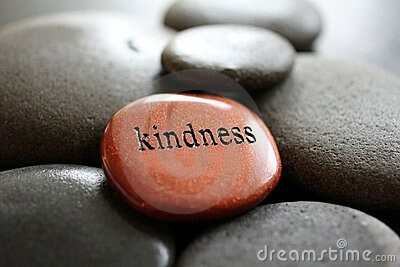 I have a feeling unexpected kindness will become a regular thing. And hopefully, contagious. A version of this story first appeared on LinkedIn.